Thomas Stewart Baker (born 20 January 1934). Wow. 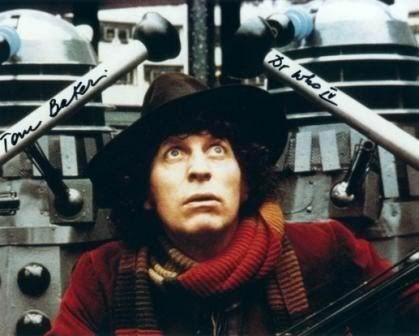 Tom Baker is 78 and I am older than I wish to admit in writing. But I will admit one thing. Tom Baker made me a Dirty WHOer. One of my all time favorite Doctors(and my first Doctor), Tom Baker really nailed the role, bringing to it most of the elements we associate with the character today. In a way, I think he completed the character together with the first 3 actors. 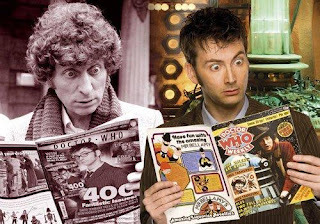 I don't mean that the Doctor's character didn't continue to evolve with the ensuing actors that portrayed him but Tom added some of the most fascinating and essential characteristics to our understanding of this strange "Time Lord." Obviously the writers and producers had a lot to do with this, but his riveting interpretation left a lasting impact on the character, forever influencing any other actors to take on the role. What did he add, exactly? The Doctor became clearly alien. Tom reminded us that although the Doctor was a big Earth/human fan boy, he was after all an alien from a race of extremely advanced aliens that mostly liked to watch(pervy! )and just be smug in their own superiority in general. They set about protecting their own timeline and "meh!" to the rest of existence. One of the alien qualities that was added was a sort of Sherlockian detached asexuality. Other races were not sexually attractive to the Doctor, not even humans. The Doctor originally had a grand daughter, Susan Foreman, so we know that they reproduce somehow. But now there was the insinuation that perhaps Time Lord reproduction wasn't as straightforward as we thought. In the episode 'City of Death' the Doctor complements Countess Scarlioni with "You're a beautiful woman... probably." This unusual attitude served to increase the mystery of the character. Another trait that made Tom's Doctor more alien is that he bacame oddly changeable. No I don't mean he changed his outfit often(he did), but that we now saw him at his silliest and most serious, often seconds apart. Again, in a human, this would be certifiable behaviour. In a Time Lord, uhm.... normal? And even though he abhorred violence, a traditional Doctor trait, he could be ruthlessly violent when driven to it. Pertwee had the occasional Venusian karate, but Baker was shown even breaking a neck(Seeds of Doom). Other aspects that were expanded on from earlier Doctor lore were his anti-authoritarianism and obvious atheism. I suppose if your race was hob-nobbing with misbehaving "Eternals" you'd be an atheist too. He also took the second Doctor's penchant for acting the fool to mislead dangerous villains and made it his own. Tom had also had great companions. 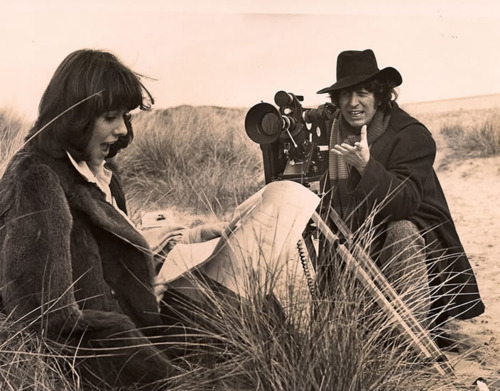 He had the luck of some excellent companions such as Sarah Jane, Leela, and Romana among others(and the "Rory" of his time, Doctor Harry Sullivan). These three were all very different from each other each bringing great new character interactions we hadn't seen before. 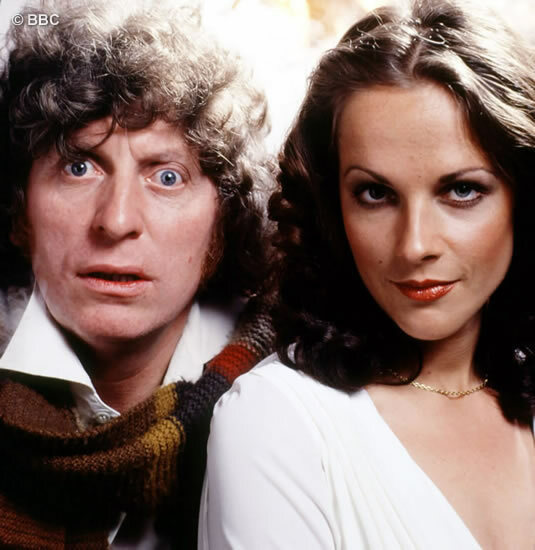 Sarah, the more traditional but long serving assistant and investigative journalist, Leela, a primitive but armed and dangerous young woman that often had to be restrained from killing folks, and Romana, a Time Lord peer and educated Lady from the academy on Gallifrey, but inexperienced in actual time travel adventuring. All of them were recipes for varied but cracking good Doctor/companion fun! Tom was dedicated to the role, staying in the role for longer than any other actor and when in public always kept in mind that children looked up to the Doctor, behaving himself(mostly). He was/is(check out the Big Finish audio adventures with Tom as the Doctor!) a very charismatic Doctor. Baker never had leading man looks but he had leading man charisma and a dynamic, expressive face and powerful personality. Big ego and portraying the Doctor go together well. So I'm very grateful, extremely grateful he was given and took the role. I was a trekkie until I saw my first Doctor Who episode with Tom Baker. Star Trek's superior special effects and limited story premise couldn't compete with Tom Baker's fireworks and the TARDIS(Hello, did I mention it goes ANYWHERE and ANYTIME in the known and unknown universes?!) His Doctor blew my mind and I fell in love. Yes...sadly, I had a little crush, but let's not think about that. 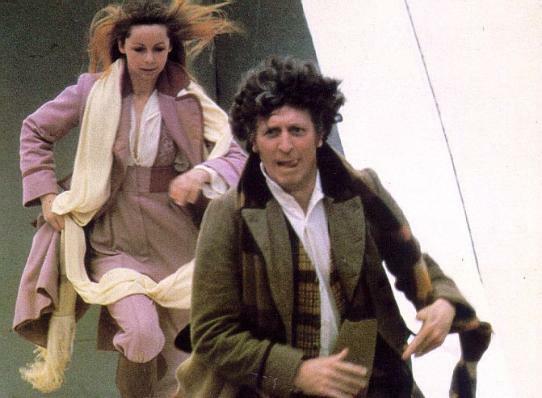 Thank you Tom Baker and Happy 78th Birthday! Here we are again. Did you have a nice Christmas? Happy New Year! Usual 4 with the usual dose of fanatical fan bigotry. This time reviewing last years Christmas Special, The Doctor, the Widow and the Wardrobe, sliding into the esoterica (as one only can after enough booze). Sputters and Lightfoot on the edit. 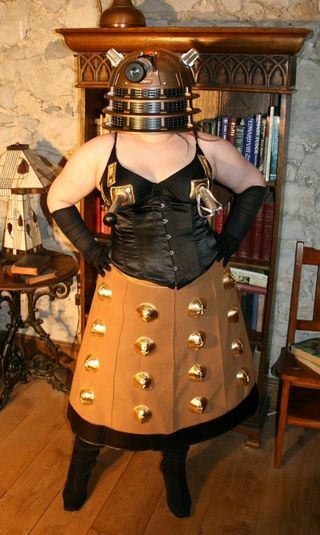 Not 'Dalek', but that's on it's way. A beautiful video that made me cry because I'm such a girl. It really tugs on your heart strings, especially if you love all the Doctors. 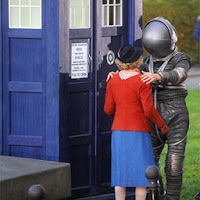 You get an inkling of who is this time lordy gestalt that we know as the Doctor. Doctor Who: "The First Question", celebrates the Doctor Who's 50th anniversary.